Hospitals and healthcare facilities must have stable and maintenance-free lighting in order to efficiently operate 24/7. During the most critical situations, doctors and nurses need uniform, bright light with superior color rendering to make correct diagnoses and successfully perform high-risk procedures. On the other hand, warm and soothing light creates a sense of well-being and safety for patients and visitors, minimizing stress and promoting the natural healing process. High-performance LED lighting also increases a sense of outdoor safety for visitors and staff, illuminating parking decks and walkways during otherwise lightless hours, all the while reducing energy costs by up to 85 percent. 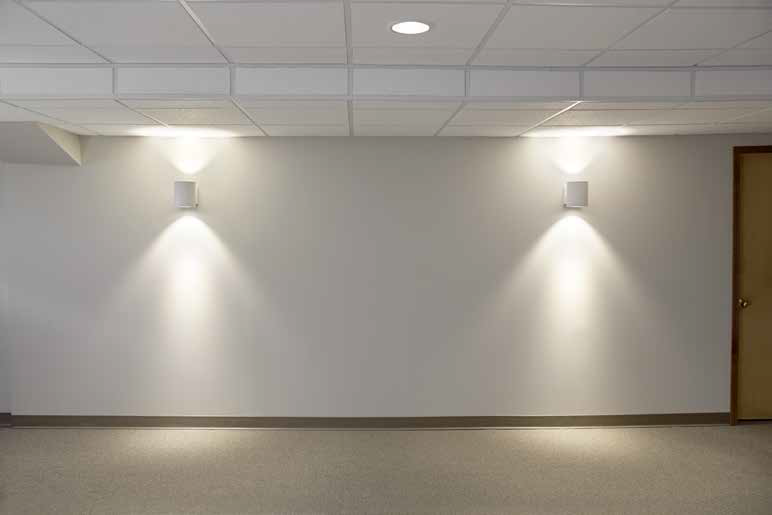 LED Downlights emit bright, glare-free light in high-traffic areas, like waiting rooms, hallways, foyers, and bathrooms. Energy costs are reduced by up to 85 percent, while maintenance-free operation promotes better healing, with little to no interruptions. With vibrant and uniform illumination, LED area lighting increases the safety of visitors and staff in parking lots and on walkways. Brighter light also helps security staff monitor incoming traffic, plus read license plates or any forms of identification. Perfect for illuminating parking decks, LED garage lighting provides visitors and employees with an increased sense of safety and security at night and during early morning hours. LED exit and emergency signs deliver crisp, bright light that’s easy for staff and visitors to find during urgent and non-urgent events.